Our mission is simple: Engage members with trusted expertise, convenient access, flexible products and diverse services that ensure success along their financial journey. 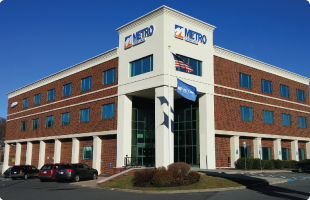 As a full-service credit union, Metro offers all of the consumer and business products and latest delivery innovations you'd expect from a large financial institution. Our priority is to provide low-fee or no-fee services with higher yields on savings and lower rates on loans. We remain genuinely connected to our communities—not only through our branch offices, but also through volunteer efforts and direct financial support of non-profit organizations in the cities and towns that we serve. Financial products and services that make your life better. We believe that financial services should be affordable and flexible; to meet your needs today and help you reach your dreams of the future. For example, Metro partners with affordable housing organizations to ensure that members have access to as many resources as possible to realize their dream of homeownership. Genuine member focus and personalized service. Metro employees listen to you, seek to understand your specific situation and provide the solutions that best fit your needs. Financial education. As a member, you can turn to us for advice and guidance that will help you better manage your everyday finances, navigate life's more complicated financial situations and make smart decisions about your money. Better quality of life in our communities. Metro continually provides both financial and volunteer resources to the communities we serve. We encourage volunteerism, giving each employee additional time off each year to spend helping an organization of their choice. And we annually recognize our Metro Heroes annually, employees who go above and beyond to make a difference in the community. With over $1 billion in assets and more than 200,000 members, Metro Credit Union has grown well beyond anything those original 35 members could have imagined back in '26. But our core values have remained strong, true and community-focused. JOIN US! BECOME A METRO MEMBER TODAY.